Horizon Water is a specialized manufacturer of various water treatment products. 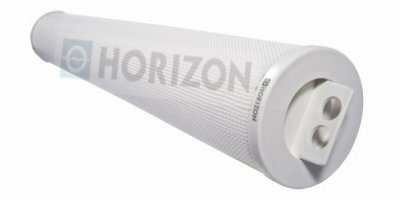 Horizon has developed various high quality, good performance and cost effective products & is dedicated to providing professional solution and equipment. Over the years, Horizon has developed various high quality, good performance and cost effective products & is dedicated to providing professional solution and equipment at home and abroad to industries like petroleum, petrochemical, coal chemical, electrical power, steel, municipal engineering and what not, the main business include: feed water treatment, industrial waste water treatment, municipal sewage treatment, seawater desalination and zero liquid discharge etc. In addition, Horizon is also concentrating on membrane separation processes, Reverse Osmosis, pretreatment, ultra filtration to desalinate water for drinking, process and industrial purposes. Our diverse production line can supply many key components which cover a wide range of plant types, from low pressure RO for treatment of brackish water through to high pressure seawater RO desalination. Thanks to our professional and passionate technical engineer team, our products won approval and trust from increasing users worldwide for the provided excellent products and superb customer service. Horizon ensures that each customer's requirements will be met and questions answered to their satisfaction. We aim to provide our customers with value-added solutions and best service for their water treatment needs. Horizon focuses on extending international market, provides stable and good quality, superb and considerate service, and increases our flexibility to satisfy the special needs of our customers. Our network of offices and business partners worldwide enable us to response quickly to customers with our best available solution and service no matter where they are.